GMHN Quilts by Penny Doucette: A work in progress. 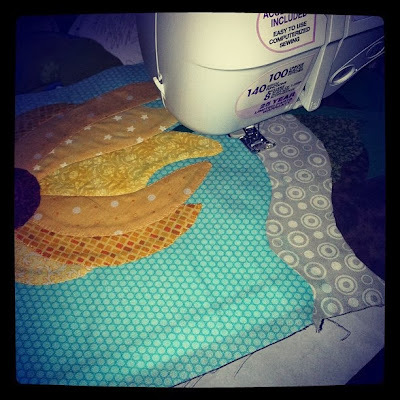 I haven't gotten much of anything quilt related done this last week because we had family visiting and I felt like it would be rude for me to sit and sew instead of entertain them. But I did squeeze an hour in here and there and managed to get this far on my second art quilt. 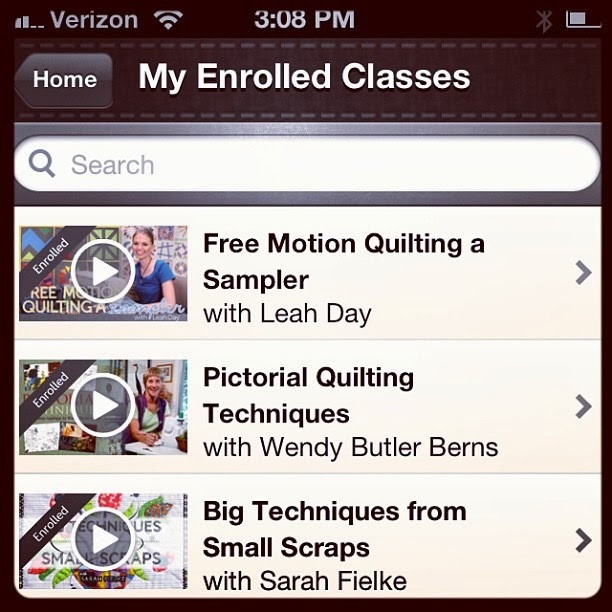 Last night, I'm excited to say, I enrolled in Leah Day's Craftsy class: Free Motion Quilting a Sampler. So there you go, just a short and sweet update! I'm still here, haven't disappeared or anything like that. What did you all do this last week? Did you get any sewing or quilting done? 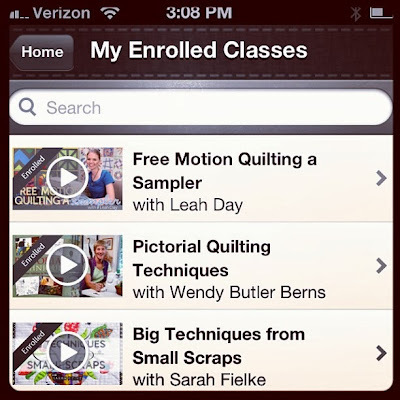 I also enrolled in both of the Craftsy classes. They are very different. I learned a huge amount in both of them. I've begun to think the best way to learn is multiple classes and multiple teachers. 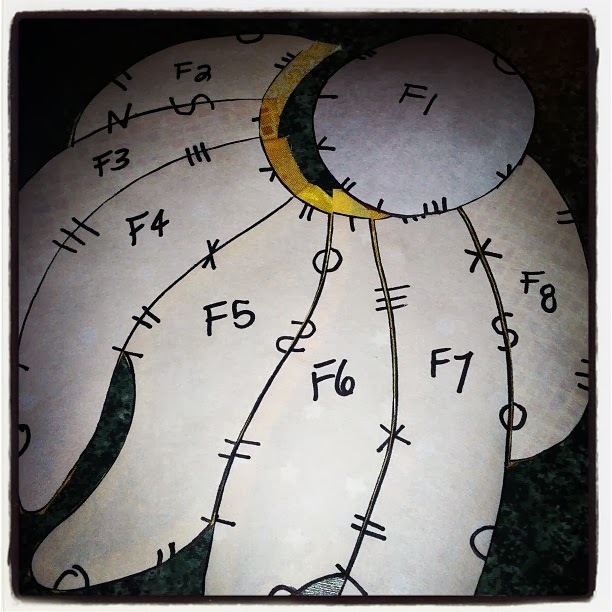 So far I haven't tried the freezer paper applique method, although I've taken that class as well. I'll get to it. Good luck on the art quilt. I love the art quilts, Wendy is quite a talker though... I find a skip now and then when taking her classes. I had to do that too. There is a huge amount of information in that class. Maybe too much. Definitely get your money's worth.